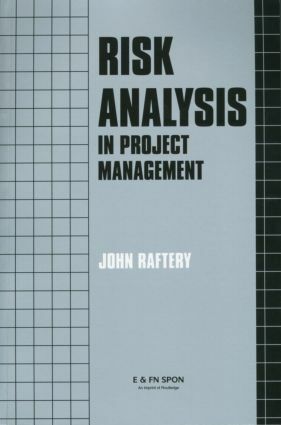 This book demystifies risk analysis and enables decision makers to improve the quality of their judgements by providing more realistic information on which to base decisions. With a practical approach, minimising jargon, mathematics and academic references, the author provides practitioners with clear descriptions of the nature of risk and risk attitude. He also describes techniques of analysis and assesses their strengths and weaknesses. 2 THE GOH KEE CONSTRUCTION CO.